Miami girl blouse by Nobodinoz. 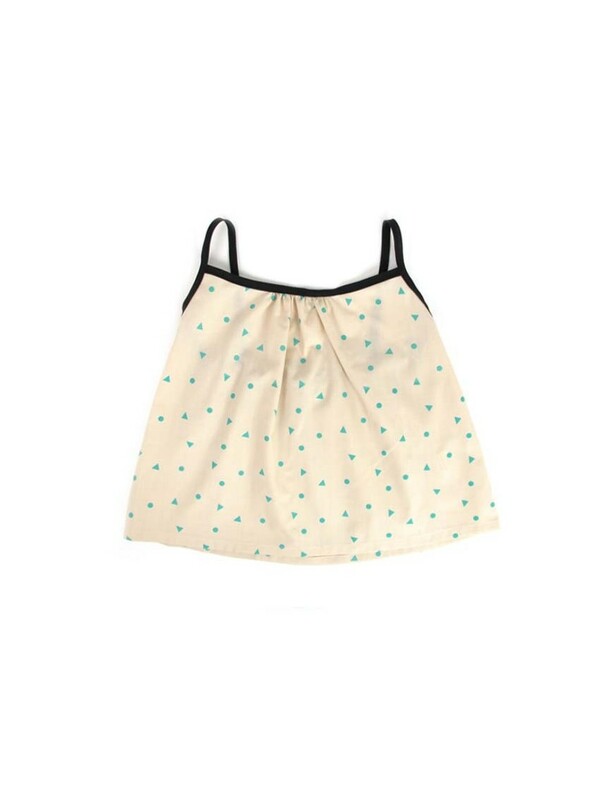 Girl thin straps poplin blouse. Green triangle print on beige cotton. A-line cut and gathered neck for extra volume and comfort. A must-have for girls.